What is your favorite Star Wars film? 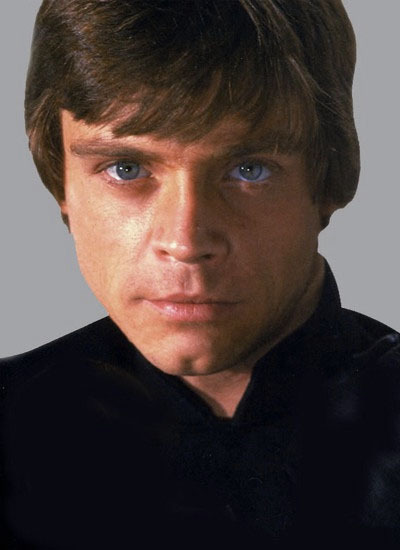 I know a lot of people love Empire Strikes Back the best, but my favorite has always been The Return of the Jedi. However, there’s one particular part of Empire Strikes Back that I hold close to my heart, and that’s the part where Yoda (one of my all-time heroes) trains Luke on Dagobah. As a Little Person, let’s face it, it’s hard not to love a movie scene that includes the line, “So, judge me by my size, do you?” Which reminds me, if you want to learn more from Yoda, visit Laura Click’s post on Pushingsocial.com called 5 blogging lessons we can learn from Yoda. But I digress. One of the last tests that Luke endures in his Jedi training is a journey into a deep dark cave, where Yoda tells him he will encounter his greatest enemy. At first, Luke sees the figure of Darth Vader. However, he soon realizes that under that mask, it’s his own face. His greatest enemy is himself. So it is in the world of Social Media. You may think that you have a bully, an arch-nemesis, a troll, a “hater,” or even an enemy, but in almost every case, unless someone begins to threaten you, you are the only person standing in the way of success. This doesn’t mean that achieving success is easy or even possible for everyone, and it doesn’t mean that if you aren’t able to find success you’re a total lost cause. What it means is that the thoughts you carry about yourself to the online world are the thoughts that you will *think* you see coming back at you. Had I continued on that pathway, I could have ended up in all sorts of scenarios. Maybe I would have entirely changed the way I blog. Maybe I would have driven myself so crazy that I would have stopped blogging entirely. It’s hard to know, but in any of those cases, the fault would not have been with that other blogger. The fault would have been with me. Because you see, that blogger wasn’t talking to me. They may not even have been thinking of me when they wrote what they did. But something in my brain put up the alarm system. Something in my brain made me internalize what I was reading. Have you had an experience like that before? I bet you have. The world of Social Media is a scary space when you stop and think about it. You’re flashing your brain around. You’re flashing your personality around. You’re telling people you’re an expert in something, and then you have to back that up day in, day out. It’s exhausting. It’s hard. It’s super easy to let fatigue get the best of you sometimes. It’s easy to go into that cave of doubt and end up battling no one but yourself. Don’t go down that pathway. If you are doing something and it feels right to you, why should you doubt that? If you want to blog about unicorns and you feel it’s doing you good, who am I to approach you with cocked eyebrow and questioning brain? It doesn’t matter. It’s easier if people are on board with what you’re doing, but handing out tickets to ride is not your job. Accomplishing what you need or want to accomplish – that’s the whole point. Don’t stand in your own way. Clear the path, take a deep breath, and know that you are the best you there is. No one else can lay claim to that. And that’s pretty darned good. Yoda and I say so. First of all, thanks for the shout out Margie! Second of all, this is some super-wise, Yoda-like advice here. I think we are often our own worst enemy when it comes to social media. It’s so easy to get distracted by what others are doing and worry that we need to change course accordingly. But, we have to remember to stay true to ourselves. Or as I like to say, you have to run your own race. Everyone has their own twist to how they use social media. The trick is to find the approach that works best for YOU. You are right – Social Media is a marathon, not a 100-yard dash. You only have to look towards whatever your finish line is. What the other folks are doing doesn’t matter a jot. I heartily concur: You are the only you the world has. And it needs you or you would have been made. So be truly you, but do so with deliberate excellence! Bravo. Bring your whole self to your blog! Well, that’s worded a lot better than anything in my post, that’s for sure 🙂 You’re quite right though, you’ve got to be worried most about whether you’re living up to your own standards. If you are, no one can really touch you. If you aren’t, every word can be a knife-point jab.